Hanoi (VNS/VNA) - The Ministry of Natural Resources and Environment (MONRE) has revealed a plan to check 51 solid waste treatment facilities in 25 provinces and cities throughout the country. The plan is to make a comprehensive assessment on the current state management over waste treatment, according to the ministry. Four working groups will be set up to examine these facilities, including those with high capacities, typical technologies or located in places with problems on waste management, the ministry said last week. Examination will focus on the facilities’ compliance with regulations on environmental protection and environment dossiers approved by State management offices such as the making of environmental protection assessment reports, environmental protection plans and designed capacities in comparison with the real amount of waste they receive. Treatment methods and technologies of the facilities, along with the origins of the technologies and their efficiency in the protection of the environment will also be checked. Samples will be collected for testing. To ensure the objectivity and accuracy of the tests, the collection and analysis of the samples will be done by two independent units. The ministry has asked localities throughout the country to report on their management over solid waste treatment so as to work out measures to intensify the management. 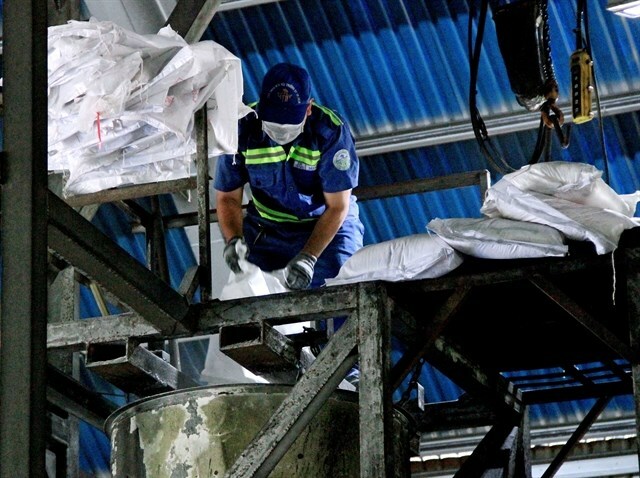 According to a report released late last year by the General Statistics Office of Vietnam on solid waste collection and treatment, nearly 20 percent of solid waste in the country was not treated properly following national standards. In 2017, as many as 37,800 tonnes of solid waste were collected. About 31,600 tonnes were treated after collection. That means more than 6,000 tonnes of waste were left untreated, not to mention large quantity of solid waste being discharged every day without collection and treatment.